Manchester United have dropped the broadest hint yet that Ole Gunnar Solskjaer will remain in charge at Old Trafford after he was used to spearhead a video campaign to promote season-ticket sales. Solskjaer filmed the marketing drive last week, before a goalless draw with Liverpool and emphatic 3-1 win at Crystal Palace extended his unbeaten run in domestic football to 14 games. Southampton visit today (3.0) and a third-place finish above faltering Tottenham now looks a possibility. That represents a remarkable upturn in fortunes given the state of the club Solskjaer inherited from Jose Mourinho. 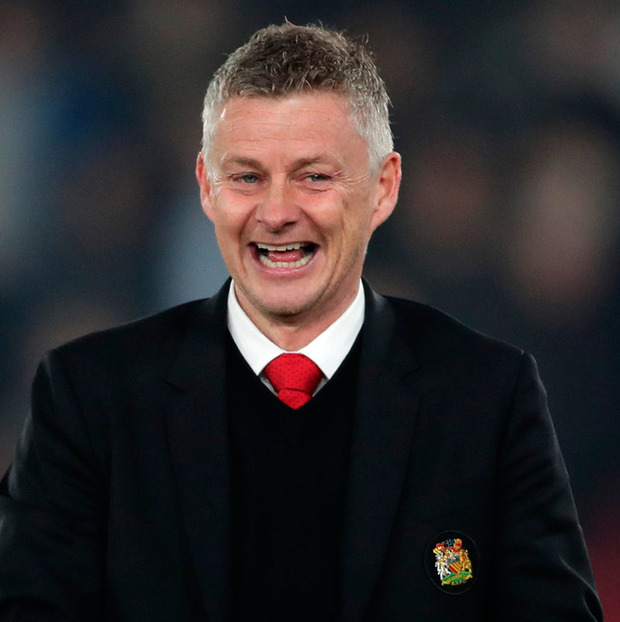 With the interim manager involved in discussions about player personnel decisions to be taken this summer, the chances of Solskjaer being handed the job permanently appear to be strengthening on an almost daily basis. "Everyone knows you'd like to stay, of course, but that's not decided until the end of the season," Solskjaer said. "I've done a video shoot, so I'm pleading for them to get their season tickets. If it's me as a supporter or manager, I don't know, but if my kids see a commercial with me in it and I'm back home in Norway, that'll be strange, probably." Solskjaer's jokey attitude towards his uncertain status has been one of the many endearing qualities, but as well as his PR value he has also been heavily involved with planning player movement. "We've been discussing the future," he said. "We did that before I had won two or three games and all this talk about if I should stay or not."